Hi there! My name is Adrian Kummerländer and I am a twenty-four-year-old software developer located in southern Germany. I started to teach myself programming at the age of 10 and spent the first few years developing software in Delphi and C#. After switching from the Windows ecosystem to Linux as my primary operating system I started developing primarily in XSLT, Scheme and C++1 altough I enjoy it a lot to experiment with other languages and technologies such as Haskell, Forth, GLSL and NixOS. My professional education in software development started with an apprenticeship as a computer science expert with subject area software development2 at Sybit in 2010 which I concluded with distinction in 2013. My final project was on Optimizing the development of Adobe Interactive Forms in SAP CRM projects using modularization. This entailed the development of a custom preprocessor language enabling meta programming in XFA templates on SAP systems. Between 2013 and 2015 I studied for my A levels at the Technische Oberschule which I concluded top of my class with a grade point average of 1.1. Currently I am studying mathematics at the Karlsruhe Institute of Technology. 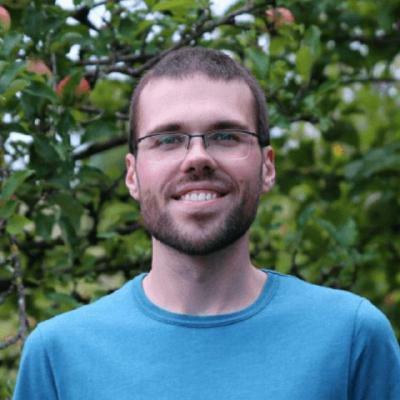 Alongside my studies I work at the Institute for Applied and Numerical Mathematics where I contribute to OpenLB which is an open source C++ framework for numerical fluid flow simulations using Lattice Boltzmann Methods3. Although software development and tinkering with my computer systems definitely is a primary occupation of mine both professionally and recreationally, I also enjoy reading hard science fiction, running around in nature as well as going to concerts and festivals. I use this website to document some of my thoughts and experiences concerning software development and various other topics in addition to summarizing some of my projects.